Milpitas public officials and senior citizens gathered together on Monday, March 30, 2009, 9am for the Ground Breaking Ceremony of the new Milpitas Senior Center. 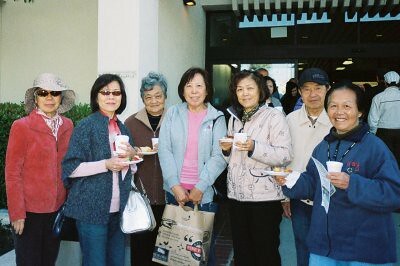 The old Milpitas Library will become the new Milpitas Senior Center. 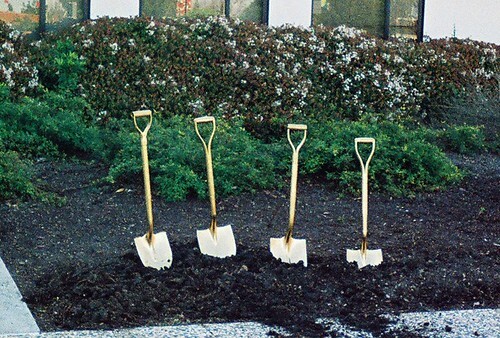 at the Ground Breaking Ceremony for the new Milpitas Senior Center. After the Ground Breaking ceremony, Senior ESL students from Milpitas Adult Education, Barbara Lee Senior Center, and the DeVries Senior Housing Project toured the the new Milpitas Library and DeVries Senior Housing. You can see the photo set and read more details about each photo here. You can see the slide show here. Photo by Claire Sale / American Red Cross. For more photos, see Red Cross: 2009 Red River Flooding. Volunteers were racing to raise dikes protecting Fargo, N.D., still higher, hoping to hold back the Red River, which is expected to reach record levels by Saturday. Video. Slide Show 1. Slide Show 2. 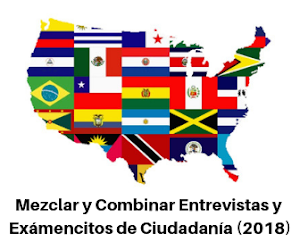 Our Mission: to build the capacity of immigrants to develop economic and business skills. Regional Passport Agencies and local Passport Acceptance Facilities will open their doors to the public on March 28, 2009. This is your chance to apply for a U.S. Passport Book or U.S. Passport Card during special weekend hours! The Department of State is sponsoring Passport Day in the USA in locations all over the country.Find one near you! 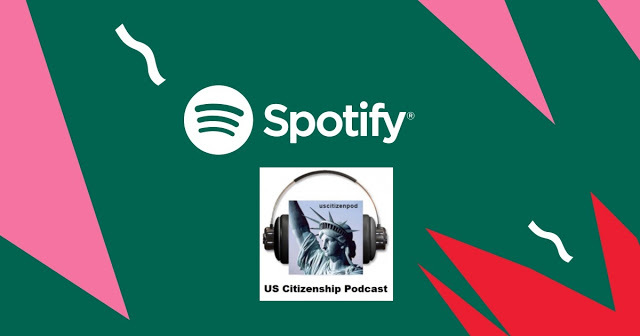 Today we will listen to the USCIS 100 remixed plus two dictation sentences. 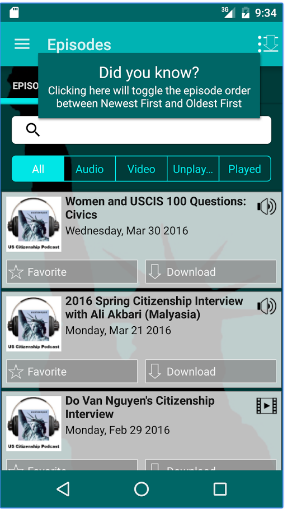 USCIS 100-10s "Tens": 10, 20, 30, 40, 50, 60, 70, 80, 90, 100 plus two dictation sentences. 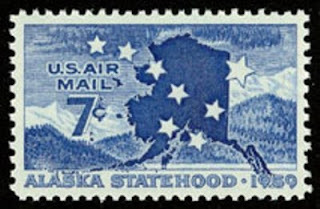 Saturday, March 28: Passport Day in the USA! 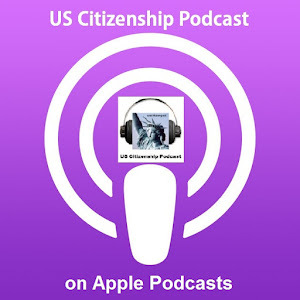 USCIS 100-9s "Nines": 09, 19, 29, 39, 49, 59, 69, 79, 89, 99 plus two dictation sentences. Ly Nu (sitting) will send in her N-400 this week. USCIS 100-8s "Eights": 08.18, 28, 38, 48, 58, 68, 78, 88, 98 plus two dictation sentences. We love our new citizen: Mao Thi Nguyen! 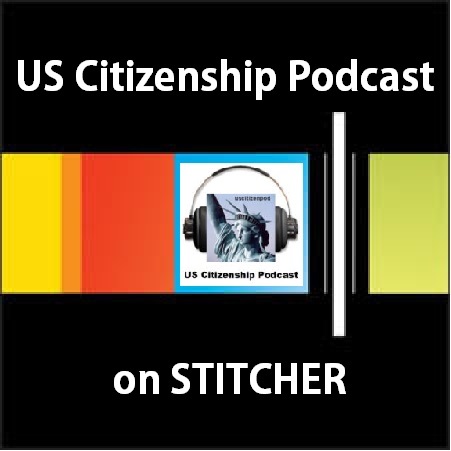 USCIS 100-7s "Sevens": 07, 17, 27, 37, 47, 57, 67, 77, 87, 97 plus two dictation sentences. USCIS 100-6s "Sixes": 06, 16, 26, 36, 46, 56, 66, 76, 86, 96 plus two dictation sentences. Happy SJ Citizenship & Immigrant Pride Day! Check out the new NYTimes series: REMADE IN AMERICA--A series about the newest immigrants and their impact on American institutions. Today's Topic: Workplaces. 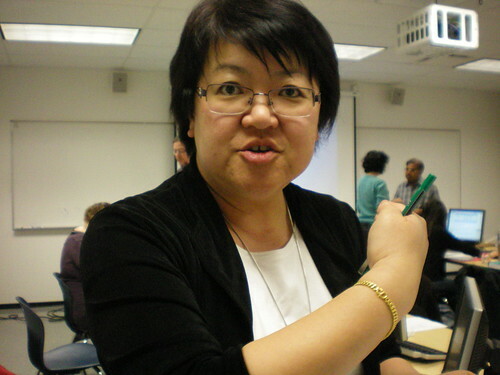 Ellen Yu Costa (100:58-70) teaches CBET & Citizenship in Morgan Hill. Click here to see a slide show of the DeVries Seniors at the VTA Meeting. Before attending the meeting, the Seniors completed transportation surveys, studied transportation vocabulary and supporting grammar, made two videos, and attend a VTA community meeting. CET, 701 Vine St., San Jose, CA 95110. Contact: Herminia Arroyo at (408) 534-5471, harroyo@cet2000.org. English: 9 a.m., 10:45 a.m., 1:15 p.m.
Vietnamese: 8:45 a.m., 10:30 a.m., 1:15 p.m.
Rebekah Children"s Services, 290 I.O.O.F. Ave., Gilroy. 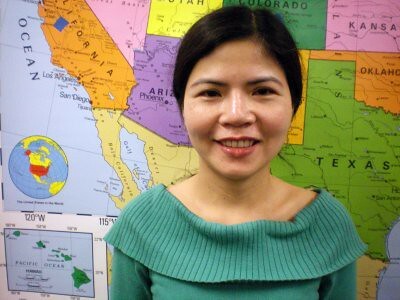 Spanish: 10 a.m., 11 a.m.
Three years ago, Cathy Liu began to study at Milpitas Adult School. 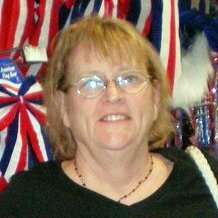 She quickly progressed through the ESL courses and obtained her GED. 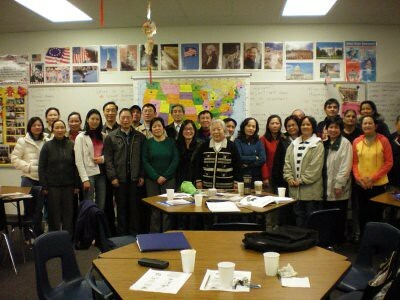 She returned to teach a fee-based Tai-Chi class at Milpitas Adult School. 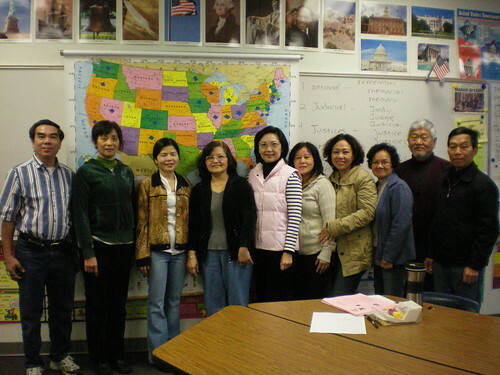 At the March 10, 2009 MUSD school Board Meeting, Cathy Liu spok not only about important role of Milpitas Adult School in her life, but the importance of all Adult Schools as windows for immigrants to their new homeland, America. Thank you, thank you, thank you, Cathy! If a peson wants to speak at a School Board meeting (or any public meeting), he or she must fill out a simple form with his or her name, address, phone number, and the reason why her or she wants to speak to the School Board. Representatives from each of the Adult School programs filled out these forms and gave the forms to the School Board. Several students had written that they did not want their program to be cut or the school to be closed. The Superintendent and the School Board President quietly reviewed these comments during the meeting. Before the Adult School students spoke, the Superintendent and the School Board President said: "There are budget cuts, but no, the Adult School will not close." The students were relieved. The representatives said that Milpitas Adult Education taught them academic, career, and life skills needed to achieve important life goals. The Board and MAE students thanked each other, and the students returned to class. Congratulations MAE students on expressing your opinions to elected officials and participating in the democratic process! with their schoolmates from the GED, ESL, VESL, and Medical Assistants programs. On Tuesday 7pm, students and teachers from the Milpitas Adult School programs (ESL, Citizenship, GED, VESL, Medical Assistants) filled the Board Room. We had expected public commentary (a person can talk to the Board members for 2 minutes) followed by School Board business, with a proclamation about Adult Education Week towards the top of the agenda. Agendas change. First item: a presentation of a donation by a local church group to the high school special education program. For the next hour, the Adult School listened to reports from individual Board Members followed by financial summaries. It is difficult for a native speaker of English, "Finance-ish", and/or "Education-ese" to listen attentively to School Board-talk. It is easy to get bored and it is important to stay awake. 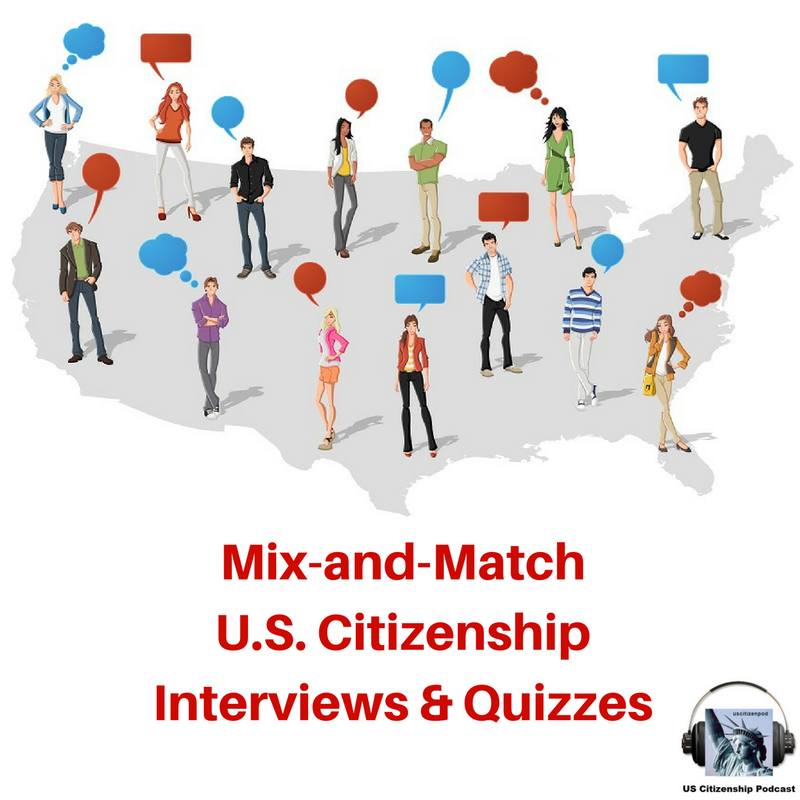 I quietly circulated a folder with a US History Word Search & USCIS 100 Questions Quiz among my thirty-five students (next year--School Board Meeting Word Search & Listening Activity!). The Adult School Week was read and passed by the School Board, and the Board members moved on to more budget items. Around 8:15, the Adult Students were invited to address their concerns to the School Board. 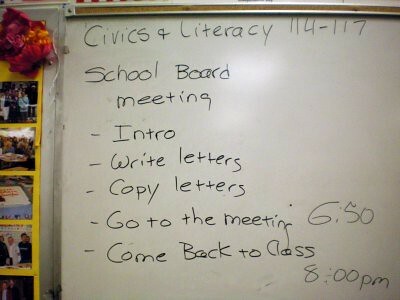 Agenda posted on the whiteboard 03/10/09; teacher leads a choral reading & discussion of the agenda @ the beginning of class. 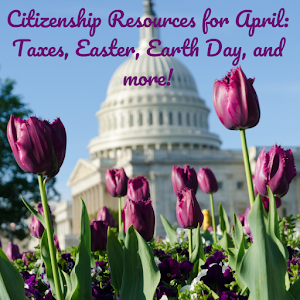 Text Book: Civics & Literacy pg 114-117. School directors and other elected officials vote on laws and money for their schools. What happens during a School Board meeting? People talk for two minutes about good things/problems in their schools. People give petitions (to the School Board). The Board Members discuss school laws and money-->and VOTE! Our school director will talk about why Adult Education is important. We are going to write letters. We will go to the School Board meeting @ 6:50. Jiayan will speak for us and give out letters to the School Board. 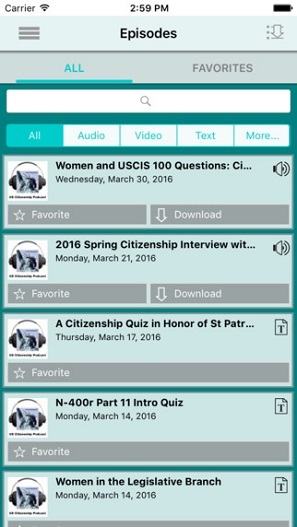 Take a 100 question quiz & dictation. California's public schools (K-12, Continuation, and Adult schools), colleges and universities are facing more than $11 billion in state budget cuts. These cuts are going to impact EVERYONE: students, teachers, and administrators; children, adults, and seniors; the able-bodied and differently-abled; the public and private sector; citizens and immigrants. TODAY - Friday, March 13 - is the deadline for school districts to issue preliminary pink slips to California's teachers. As of this morning, more than 26,500 teachers had received these preliminary notices. Please join us today and Stand Up for Schools. Two nights ago, the Citizenship class attended the MUSD Board meeting . and presented their letters to the MUSD School Board. The students reviewed the "Rights & Responsibilities" section of their current text book. The students reviewed a double-sided handout: a double-sided xerox. Side 1: Reviewed graphic representation of the USCIS 100:55 #6; Side 2 form letter was addressed to the School Board. 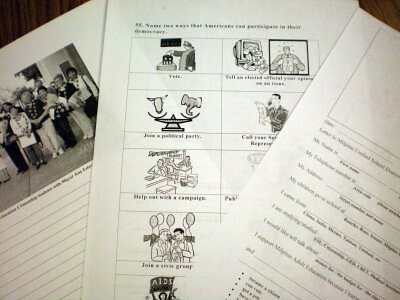 Citizenship students copied their form letter on to "Citizenship "class stationary"; SeniorESL students glued their individual pictures to the top of a blank piece on paper on which they had copied their letter. Students were encourage to write about why Adult School was important to them. 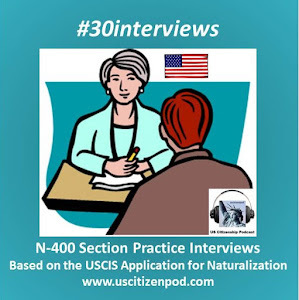 When a husband and wife apply for citizenship, they fill-out two separate N-400, and put their N-400s into one envelope. 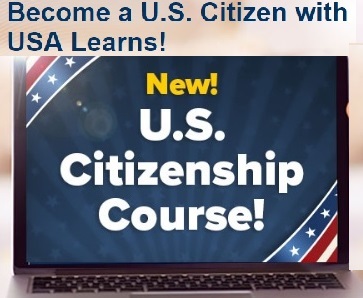 All of the Citizenship letters were put into a one Milpitas Adult School folder, along with a N-400, a copyof the USCIS 100 questions, and the School Course catalog opened to the Citizenship page. After Li Jiayan talked about studying ESL and Citizenship at Milpitas Adult School, she handed the letters on behalf of all the students. More tomorrow! The board passed a proclamation in support of Adult Education Week. Li Jiayan talked about studying Citizenship at Milpitas Adult School. Adult Ed Week is five days, Monday through Friday. You may want to have an event each day, even if it’s just a short ceremony that honors worthy students and teachers. Monday: “New Citizen of the Year” recognizes a Citizenship student. Tuesday: “Comeback Student of the Year” recognizes a high diploma or Adult Basic Education student. Wednesday: “Older Adult Student of the Year” honors an older student. Thursday: “Family of the Year” recognizes a family involved in Family Literacy or Parent Ed. Friday: Schedule an Open House. Invite former teachers and students, potential new students, and local educational decision-makers to tour the school. These are just a few thoughts to get you started. From past experience, we know that all of these will strike a chord with your local media. 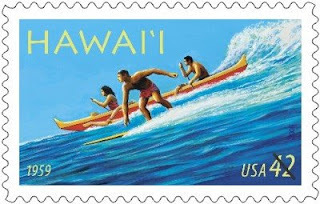 A new version of the N-400 dated 1/22/09 has been posted on the USCIS.gov website. This OMB edition expires 12/31/09. The instructions say that the following editions: 1/22/09. 10/15/07, 07/30/07, 11/01/06, 05/31/01 can be used but no other editions will be accepted. The N-400 filing fee is $595 plus a biometrics fee of $80; the fee total is $675. Applicants 75 years of age or older are not charged a biometric fee; their fee total is $595. 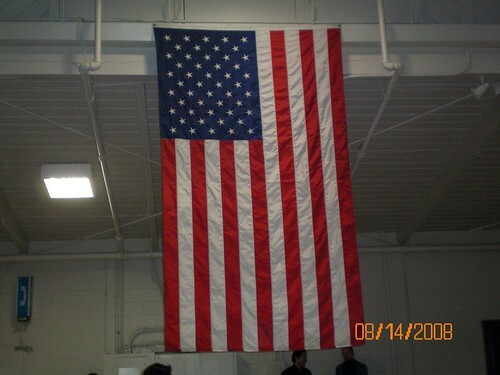 No fee is required for military applicants filing under Section 328 and 329 of the INA. Li Jiayan practices reading a letter about studying ESL and Citizenship at Milpitas Adult School. She will read this letter to the Milpitas Unified School Board on March 10, 2009, 7pm. 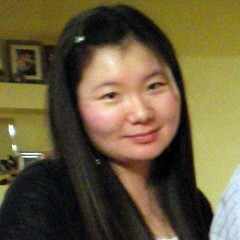 The next day, March 11, Jiayan will go to her US Citizenship interview. Good luck! 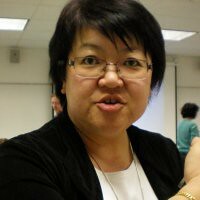 MilpitasChat.blogspot.com is hosting a new series: ESL Lessons for Women's History Month. Today's Hera: KQED: Women's History Month. USCIS 100-4s "Fours": 04, 14, 24, 34, 44, 54, 64, 74, 84, 94 plus two dictation sentences. 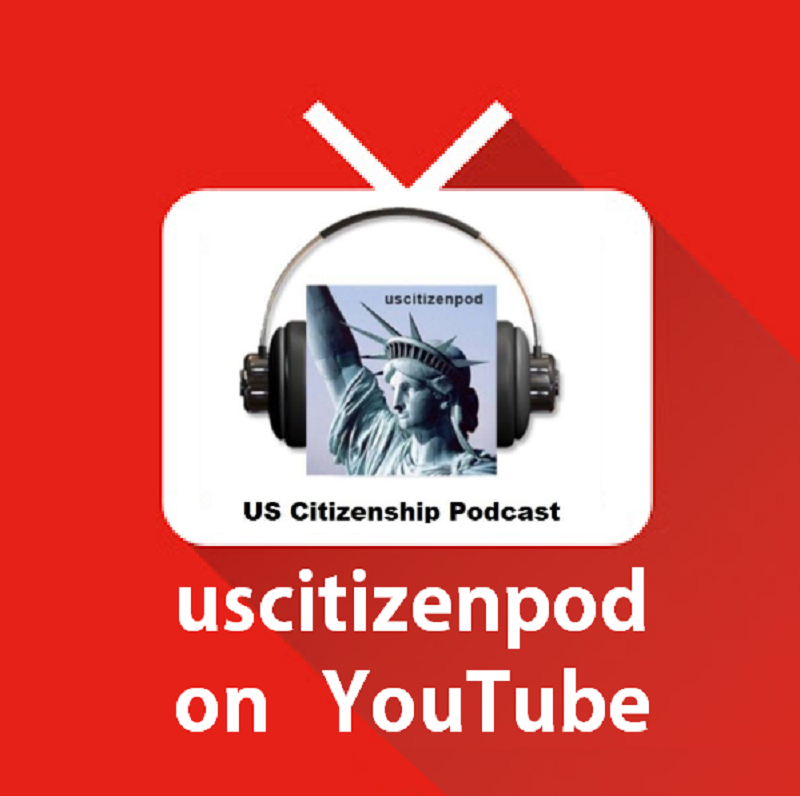 Roshini Joseph (naturalized US citizen; DeAnza College/SJSU) appears on q58-70. 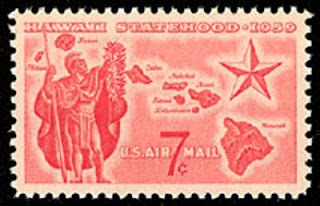 to see the complete set of the Wonders of America stamps. 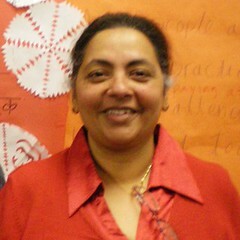 MilpitasChat.blogspot.com is hosting a new series: ESL Lessons for Women's History Month. Today's Hera: Sacagawea. The new effort, the first since the Vietnam War, will target immigrants on temporary visas, giving them a chance to become citizens in as little as six months. 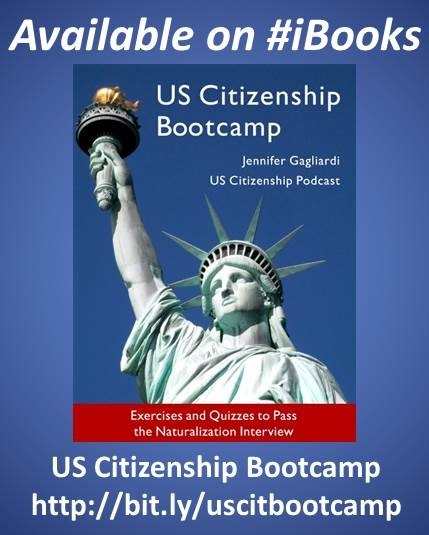 This brochure provides you with some basic information about the laws that govern citizenship for military personnel and the process you should follow to become a US citizen. 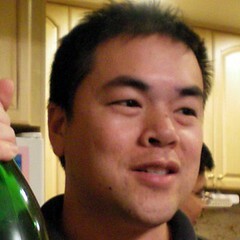 MilpitasChat.blogspot.com is hosting a new series: ESL Lessons for Women's History Month. Today's Hera: Clara Barton. 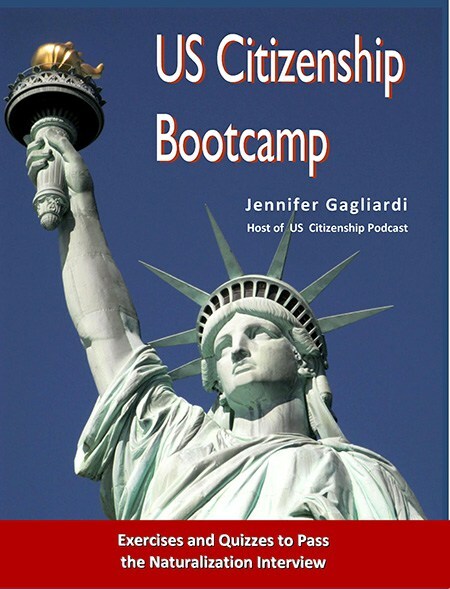 Jenny Yee (naturalized US citizen & MATESOL student) appears on 100:78-87. 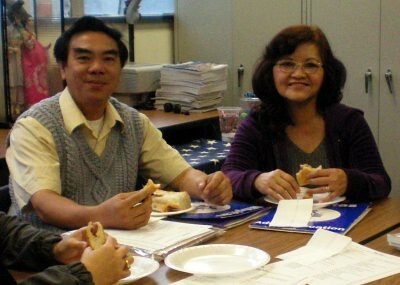 Judy Connel, ESL Coordinator of Milpitas Adult School, appears on 100:1-47. 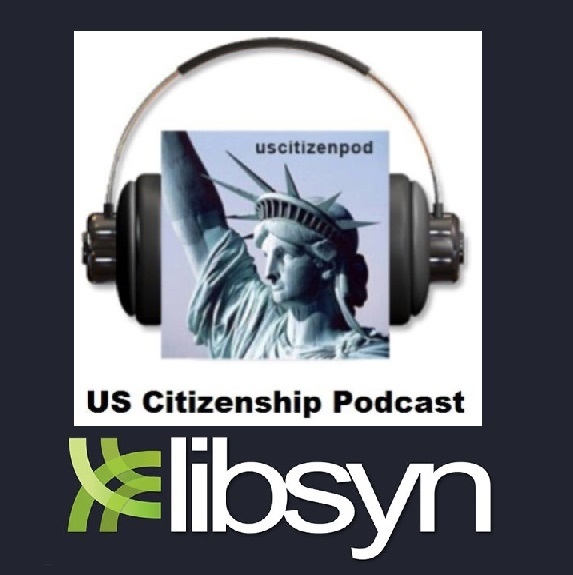 Today we begin a new series: the USCIS 100 remixed plus two dictation sentences.